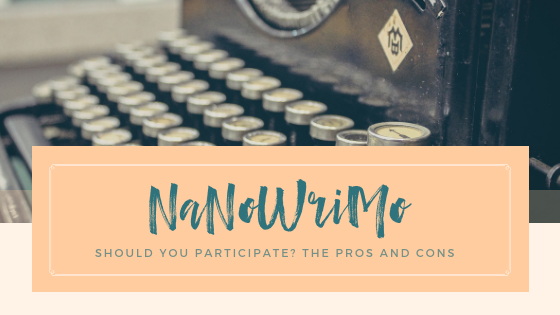 About this time every year, this question pops up in my inbox and through social media: should I participate in NaNoWriMo? Writers are excited, nervous, hopeful, and everything in between. It’s understandable. The program is a sprint of marathon proportions. For those who aren’t familiar with NaNoWriMo, it stands for National Novel Writing Month. Thousands of participants join with the goal of writing 50,000 words during the month of November. For those of you like me who are mathematically challenged, that’s 1,666 words per day. No easy task because, you know, life. Plus, if you’re in the US, Thanksgiving. As a writing coach, I have mixed feelings about NaNo. Community. For writers who want to feel like they are part of a larger community, NaNo brings together writers from around the world. You’ll know that at this very moment there are thousands of writers pounding the keyboard and it gives you that built-in knowledge that you are in this together. On the NaNoWriMo site, you can celebrate your accomplishments, talk through any issues, and commiserate when the going gets tough. Accountability. If having a regular check-in helps you write, this program can provide a sense of responsibility to keep you motivated. The site hosts forums and pep talks from other writers. Goals. Many writers find a lot of encouragement in meeting daily goals and watching that word count tick higher and higher. Priority. And this is the biggest bonus, participating NaNo forces you to write. You set aside time, you make writing a priority, you focus. It silences the perfection monster that nitpicks over every word. By the end of November, you’ll have a substantial start on your novel with momentum and enthusiasm on your side. It sounds so simple, but it can be difficult on your own. Misconceptions. Some writers go into NaNo with a few misconceptions. At the end of November, you won’t have a completed novel, unless you write far more than the daily minimum of 1,666 words. 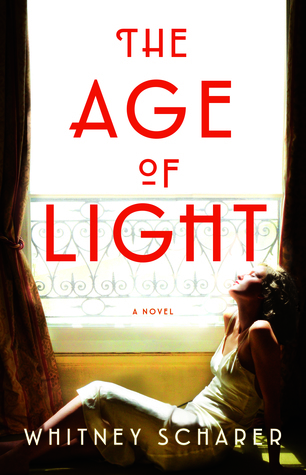 Mainstream adult novels target between 80,000 – 90,000 words. This isn’t a hard and fast rule, but it is a good average. Nor will you have a polished novel. NaNo is all about getting to the word count, and it’s less about whether those words are the right ones. Loss of confidence. What worries me most about NaNo is that it can have the opposite effect. It can be a confidence zapper if you don’t reach the word count goal. Some writers fall into uncertainty and doubt. They berate themselves for not reaching the goal. Competition. The organizers of NaNoWriMo, trying to inject fun into what can be a grueling process, liken writing a novel to a game. There are cheerful badges you can earn along the way, and if you reach your word count goal, you’ve “won” (and that’s how they phrase it on the site). For some writers, this method is motivating, and for others, it is demoralizing. So let me put this out there: if you don’t reach your word count goal, you are not a bad writer. And it doesn’t mean you won’t finish your novel. Of course only you can decide if NaNo is right for you. If you go into it with realistic expectations, NaNoWriMo can be a great start to your first draft. Have you participated in NaNoWriMo? Are you planning to join this year? Share your experiences and tips in comments. Are you part of our Facebook group? Join (it’s free!) and get writing tips, motivation, and helpful links each week. Great question, Jackie, and identifying downsides not just the upsides. I think that this competitition might work well for aspriring writers who feel they need to establish a daily routine of writing everyday as long as they understand, as you’ve pointed out, that the word count is an extremely hard bar to achieve and not realistic for many writers, new or not. But it is a way to get disciplined about writing, and learn it’s hard to create prose that’s well-written, engaging, meaningful. Said by someone who has not participated in the program! All the best to those who do. Well said, Lorraine! Good luck to all those participating in NaNoWriMo! I haven’t! But I’m a bit of a nonconformist that way:). Applauding all who do, though . . .